Home to many local arts organizations like Charlotte Symphony, Charlotte Ballet, On Q Productions and many more, Blumenthal is a great way to see big productions without spending big on travel. Belk Theater hosts events like grand opera and rock concerts, and features state-of-the-art equipment to produce the best sound possible. There is also great line of sight from anywhere in the theater, as the furthest seat away is only 135 feet from the stage. This performing arts center is volunteer-based and is set out to bring more relevance to the art of theatre. It’s been named ‘Community Theatre of the Year’ three times by The North Carolina Theatre Confrence. Queens University of Charlotte has partnered with Actor’s Theatre of Charlotte and have announced that ATC is now the ‘resident theatre company of Queens’. Appointed by many as a favorite place to see live plays from across the country. Nationally recognized for the strength of their education programs, Children’s Theatre of Charlotte has become one of the top theatre education organizations for young people in the United States. Another nationally recognized theatre, Charlotte Ballet is known for its education and outreach programs and dance training. Performances include classic, contemporary, and cutting-edge dance for statewide and national audiences. Located in Founder’s Hall with 434 seats, Booth hosts a variety of performances like dance and choral as well as seminars and workshops. An intimate setting in this new hall makes it easier to get an up-close experience of performances and allows for a better connection with the stars. 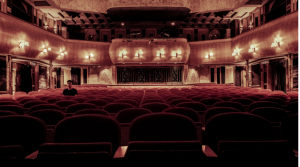 Know of any more theatres or venues to add to this list? Leave your comment below! Love the blog and info. Where do you sign up for your blog? I couldn’t find it. Currently we don’t have the option to subscribe to the blog, unfortunately. However, we do post our most recent blog posts on our Facebook page, LePage | Johnson Realty Group. If you “like” that page, you will see our blog posts at least once per week!